Kool Melons eliquid is packaged in a 10, 30, or 60 ml tamper evident child proof needle tip plastic dropper bottle. You can also choose your desired nicotine strengths from 0mg, 1.5mg, 3mg, 6mg, 12mg or 18mg and the PG/VG ratio while ordering. E-liquid comes in varying nicotine concentrations to suit different needs and tastes. This is an important feature, because electronic cigarette users have the option of lowering their dose of nicotine gradually, unlike traditional cigarettes. Many users choose to use a nicotine-free liquid just to satisfy their smoking habit. For many, getting to a 0mg nicotine juice is their goal and they can accomplish this slowly so they do not crave cigarettes. To start out you may try a high strength, such as 18mg, to see how you like the taste and if it will satisfy your cravings. Then you can work your way down to lower levels if you wish or even all the way down to 0mg strength. Nicotine free = 0mg nicotine, just PG and/or VG and flavoring. VG and PG are the two main base components in e-liquid. VG is thicker than PG and producers more vapor but may have less defined flavors. Whereas PG is thinner but often produces less vapor but provides more flavor from the e-liquid. Our 50/50 e-liquid is a combination of the two. VG stands for vegetable glycerin. It is a water-soluble byproduct of vegetable sources. It is condensed to a pure form through the process of distillation (boiling liquids to the point of vapor and then recapturing the vapor as a liquid through condensation). This refined product is known as vegetable glycerin and is FDA approved for consumption. PG stands for propylene glycol. It is a clear organic compound that is used in food and cosmetic products. It is a considered by the FDA as GRAS (generally recognized as safe) for consumption as a food additive. Our Max VG liquids PG/VG ratios will vary depending on the selected flavor, however the ratio will contain a minimum of 70% VG or higher. All the ingredients used in our e-liquids are USP grade and directly imported form the United States. Our e-liquids are Halal and alcohol free. E-liquids in Pakistan are also referred to as e-juice, ejuice, nicotine juice, nic juice or eliquids. Traditional cigarette users and shisha users can use electronic cigarettes as a safer alternative to their habits or with the intention of quitting. We deliver to every city and province in Pakistan not just metropolitan cities like Karachi, Lahore, Hyderabad, Islamabad, Peshawar, Faisalabad, Multan and Quetta, Regardless of where you’re located and if you’re a cigarette user or shisha user. You can enjoy White Mist Co. Cold Fusion, Kool Melons eliquid with your choice of electronic cigarette or electronic shisha whatever you prefer to call them. This product is not intended for use by persons under legal smoking age, nonsmokers, women who are pregnant or breastfeeding, or persons with or at risk of heart disease, high blood pressure, diabetes, or taking medicine for depression or asthma. This product contains nicotine. If you are allergic to nicotine, propylene glycol, or any combination of inhalants, if you are pregnant or breast-feeding, or if you have a heart condition, diabetes, high blood pressure or asthma, consult your physician before using any White Mist Co. products. Discontinue use and consult a physician if you experience nicotine misuse symptoms such as nausea, vomiting, dizziness, diarrhea, weakness and rapid heartbeat. This product contains nicotine, a chemical known to cause birth defects or other reproductive harm. You can really taste the crisp clean watermelon, perfectly rounded off with menthol. Now I just have to decide which one is my favorite, chromosome 24 or kool melons? I have tried watermelon mint of another premium brand but I must say that Kool Melons outscored that other juice in all departments. It’s a must have for people who love water melon and the menthol addition makes it a perfect all day Vaping flavor. Good one. If you like watermelon flavors, you will love this. 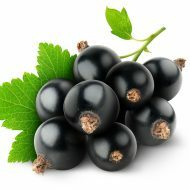 Blackcurrant eliquid is a deep and earthy blackcurrant flavor, a great taste for an everyday vape. Vape Craft E-liquids have been developed by passionate vape enthusiasts. Each flavor has been crafted considering the taste conscious vaper in mind for a satisfying vape experience. Vape Craft E-liquids give you a great budget e-liquid lineup to choose from, over the cheap sub-par high PG ejuices available in Pakistan. They come in both 50% PG / 50% VG and Max VG options. Vape Craft, Blackcurrant eliquid comes packaged in a 10, 30, or 60 ml tamper evident child proof needle tip plastic dropper bottle. Please note, we do not offer Max VG in 18 mg. 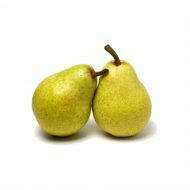 If selected, it will be replaced with 50 PG/50 VG in 18 mg.
Juicy Pear eliquid is a sweet and bold pear vape. Vape Craft, Juicy Pear eliquid comes packaged in a 10, 30, or 60 ml tamper evident child proof needle tip plastic dropper bottle. Get your desired flavor in a large 120 ml White Mist eliquid bottle and take advantage of our bulk pricing. Packing: 120 ml PET plastic twist cap bottle, comes with empty 15 ml Unicorn Dropper Bottle. Note 1: All “Tobacco” flavors are only available in 50/50 ratio. Only exceptions are Peach Tobacco and WMRY4. Note 2: Discount Coupons do not work on the products listed under the E-liquid Deals and Combos category because they are pre-discounted. Just when you thought things couldn’t get any wilder along came Wild Cherry eliquid to surprise you. Wild Cherry eliquid is our take on the classic cherry yogurt. 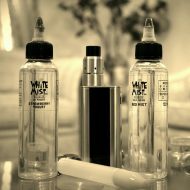 La Yogurt E-liquids by White Mist Co. have been developed after months of R&D and continuous feedback from our loyal customers. These e-liquids have been perfected through multiple iterations to cater to the taste of the privileged. 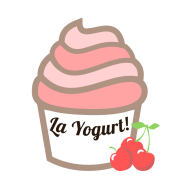 Only the best from a very tough competition made it to the La Yogurt group. They’re that privileged! Wild Cherry eliquid comes packaged in a 10, 30, or 60 ml tamper evident child proof needle tip plastic dropper bottle.